Black New Yorkers are African Americans sampled in the state of New York. New York City has the largest population of self-defined black residents of any U.S. city, more black people than the entire state of California. Some of these (about 700,000) are immigrants and descendants of immigrants from the Caribbean (especially from Jamaica, Trinidad and Tobago, Barbados, Guyana, Belize, Grenada, and Haiti), and of sub-Saharan Africans. 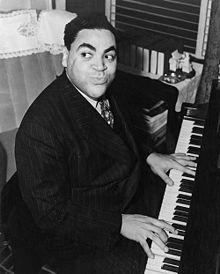 Photo: Jazz pianist Fats Waller was born May 21, 1904 in Harlem.